Portuguese international midfielder who made his professional debut with Benfica's reserve team in 2014. After a year with the first team, he signed with Bayern Munich in 2016. 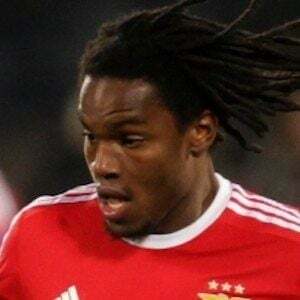 He started playing with Aguias da Musgueira in 2005 before joining Benfica's youth team in 2006. He first played with the Portuguese national team in 2016. He was named to the UEFA 2016 squad, breaking Cristiano Ronaldo's record for youngest Portuguese player to make a roster for international competition. He was born to parents from islands off the coast of Africa, his father from Sao Tome and Principe and mother from Cape Verde. He and Nicolas Gaitan played together on Benfica.